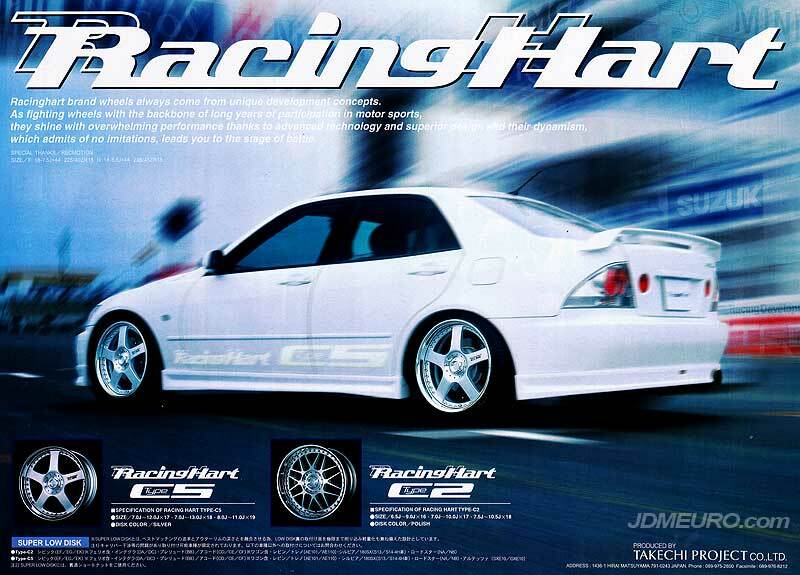 The Racing Hart C2 and by Racing Hart C5 by Takechi Project are JDM Wheels from the height of the tuner craze. The Racing Hart Type C2 was the update the the original Racing Hart Type C. I believe the main differences of the Racing Hart C2 is the center cap has an aluminum center in lieu of the carbon fiber setup, the faces have a polished / diamond cut finished instead of painted silver and I believe theres only one bigger size face 18″+ where the Racing Hart Type C had 2 sizes for 16″ and 17″+. 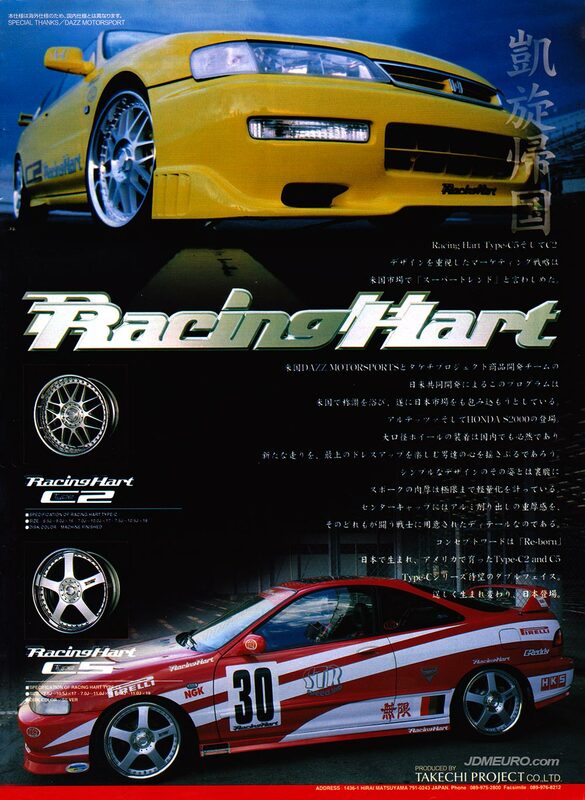 Pictured are the Racing Hart C2 ona Honda Accord and the Racing Hart C5 on an Honda Integra DC2. 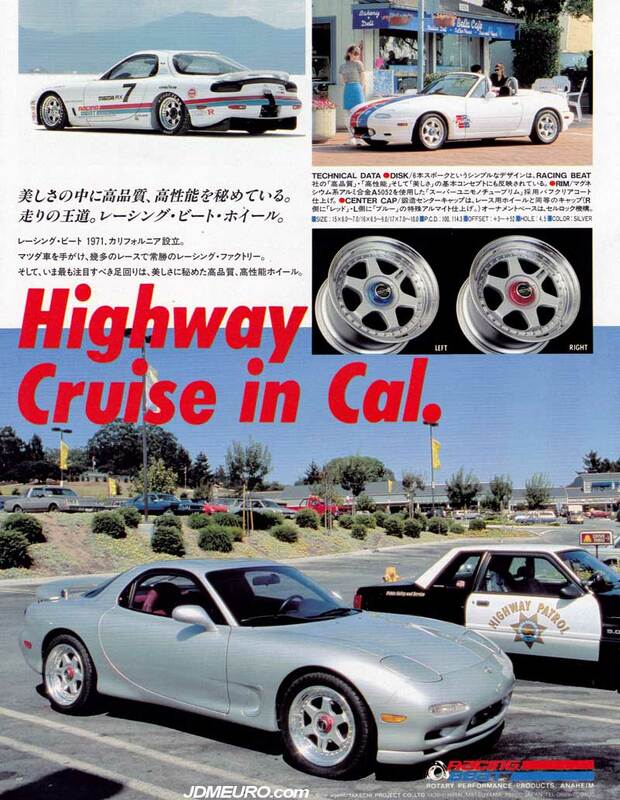 Note the shoutout to DAZZ Motorsport which was the Racing Hart US Distributor which started in San Gabriel, CA. 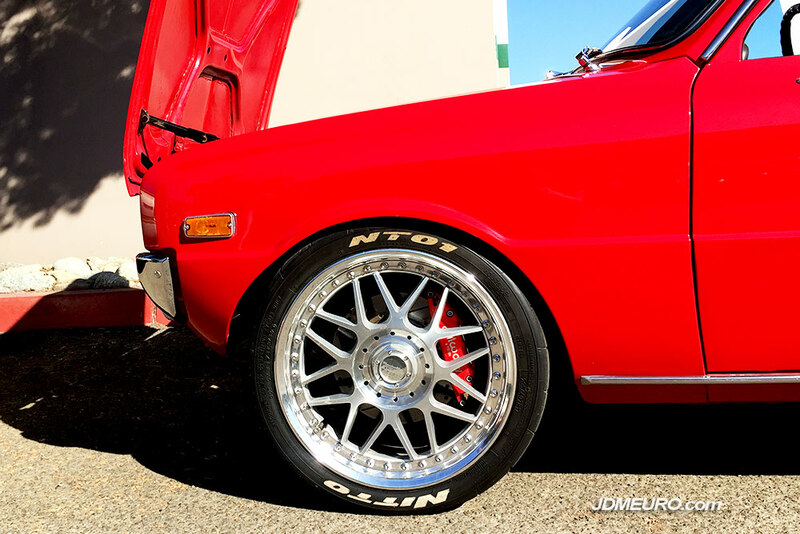 The Racing Hart Type C2 are JDM Wheels that came out in the late 90’s, however this set of C2’s are bolted to a Old School Mazda R100 over 20 years older than the wheels. 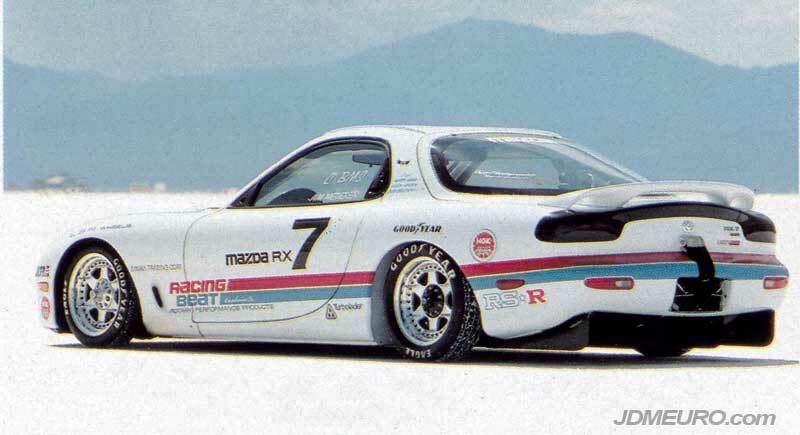 The Racing Hart Type C2 are jdm wheels that were the updated version of the Original Racing Hart Type C by Takechi Project. 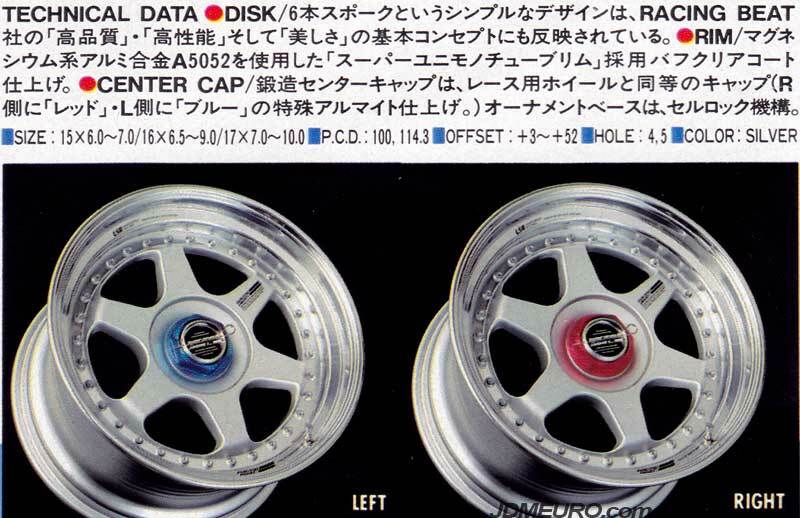 Major differences of the two were machined finish instead of painted and a less complex center cap with an aluminum coin in lieu of carbon fiber. 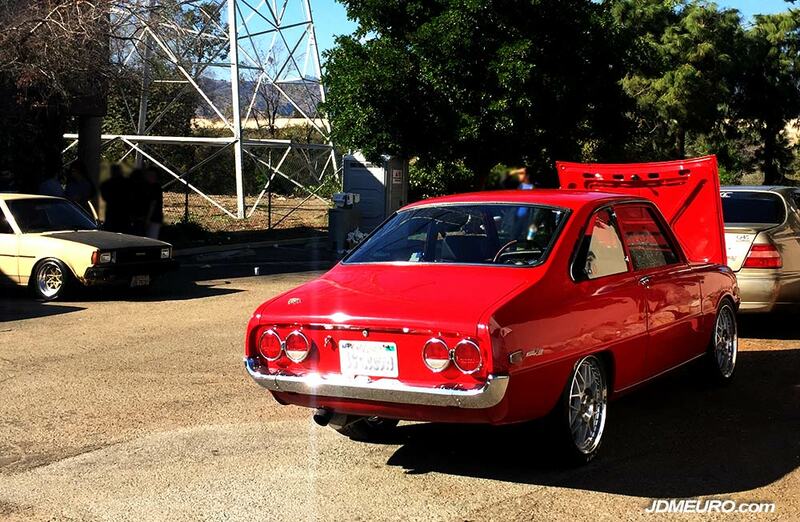 This Mazda R100 on Racing Hart C2 was spotted at the Vintage Japanese Motor Union Meet hosted at Love20Bee Wheels in La Verne, CA. 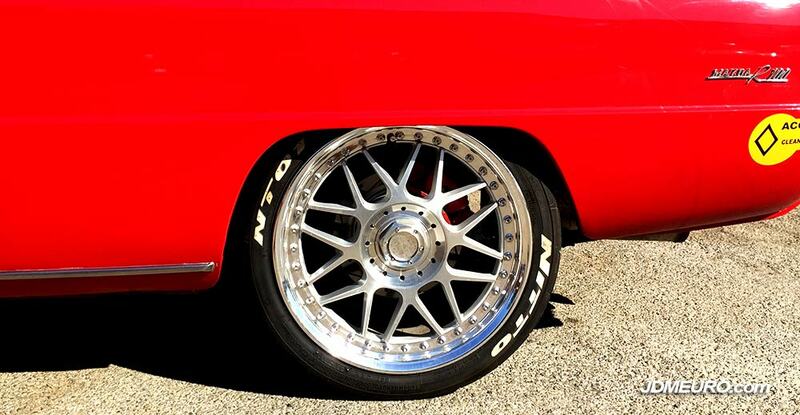 Check out those Wilwood Brakes behind the Racing Hart Type C2 on the Mazda R100. Racing Hart Type C2 tucking behind the rear panel. 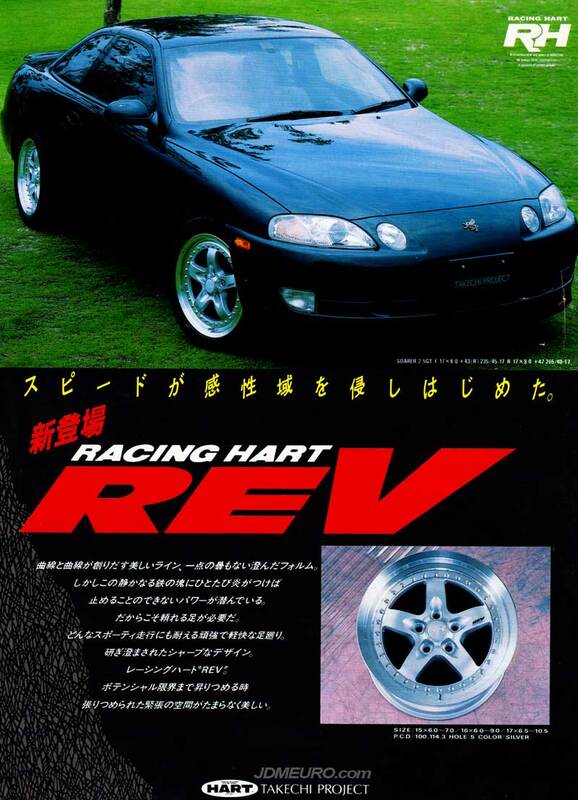 The Racing Hart Type-C Cyber, more commonly known as the Racing Hart Cyber, are JDM Wheels with a one piece mesh design. 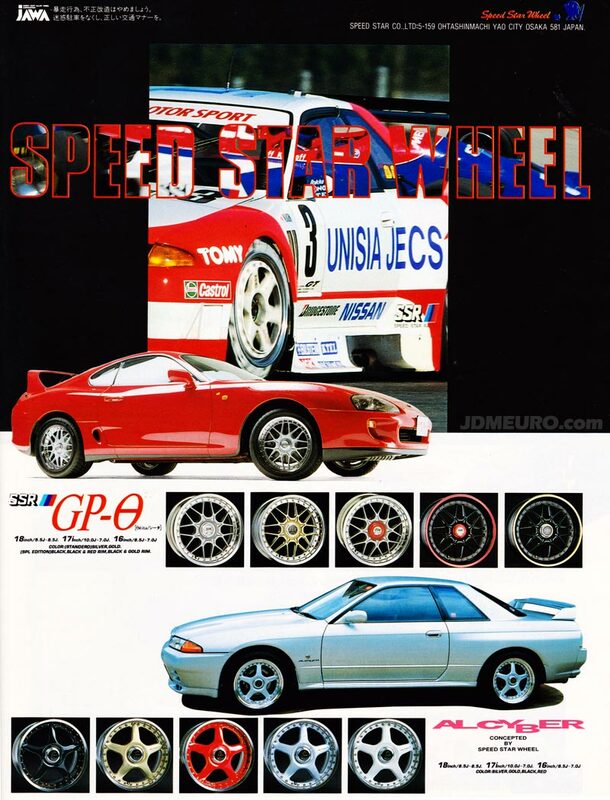 They were 8 spoke light weight wheels which had dual patterns of 4×100 and 4×114. 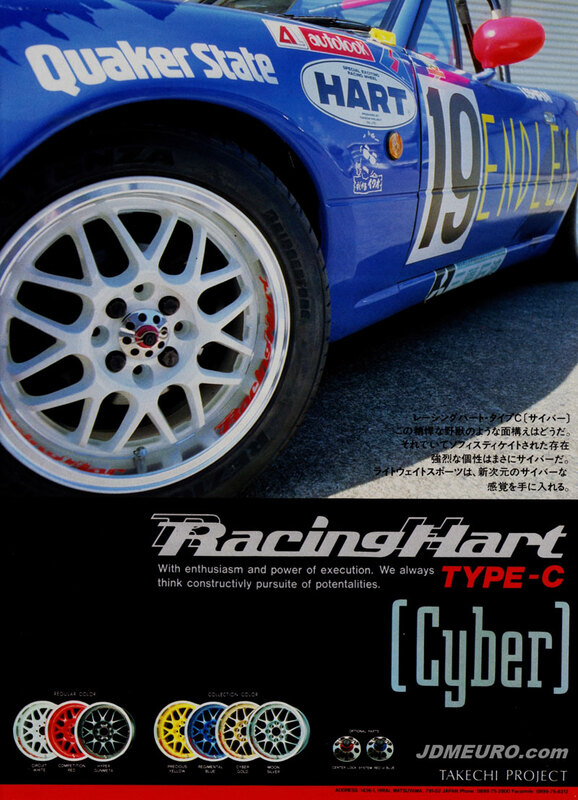 The Racing Hart Cyber was available in the regular colors of Citcuit White, Competition Red and Hyper Gunmetal. Additional Colora were Precious Yellow, Regimantal Blue, Cyber Gold and Moon Silver. 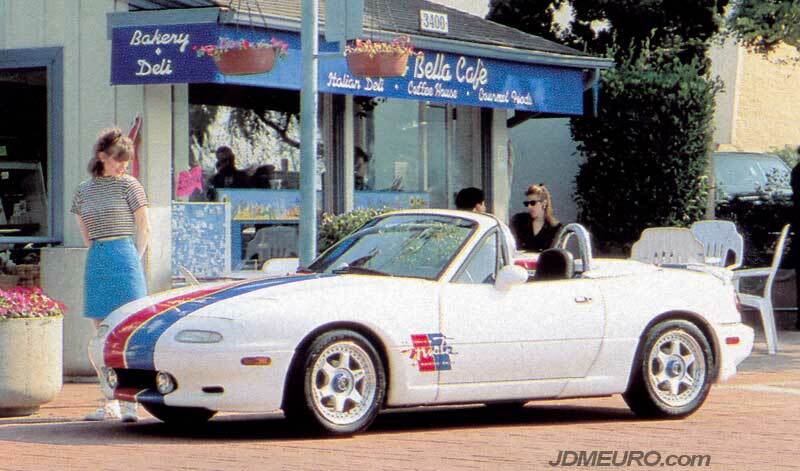 Pictured above are the Racing Hart Cyber mounted on an NA Mazda Miata.